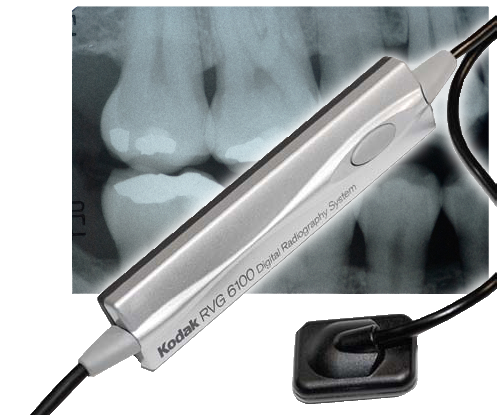 Digital dental x-rays are faster and more environmentally friendly than traditional dental x-rays – and reduce your exposure to radiation by as much as 90 percent! They also do not require any harmful chemicals to process. They show up on the computer screen within seconds and they can be enlarged to see even the smallest cavity. This allows us to be more conservative when treating your teeth. For diagnostic purposes, the intraoral Xray is an excellent tool and the with the digital sensors, we get an instant capture of the image. For a 2D image of the jaw and the skull, we have the Digital Panoramic OPG( Oralpantomogram) and lateral cephalometric machine. Its great to have high quality images so easily captured and almost immediately accesible , with the wonders of technology nowadays. Even though the exposure for these digital radiographs are low, all Xray images are taken with the patient protected with a lead shield .